Hey everyone! Hope you're having a great day so far. Today I want to talk fashion and trends. 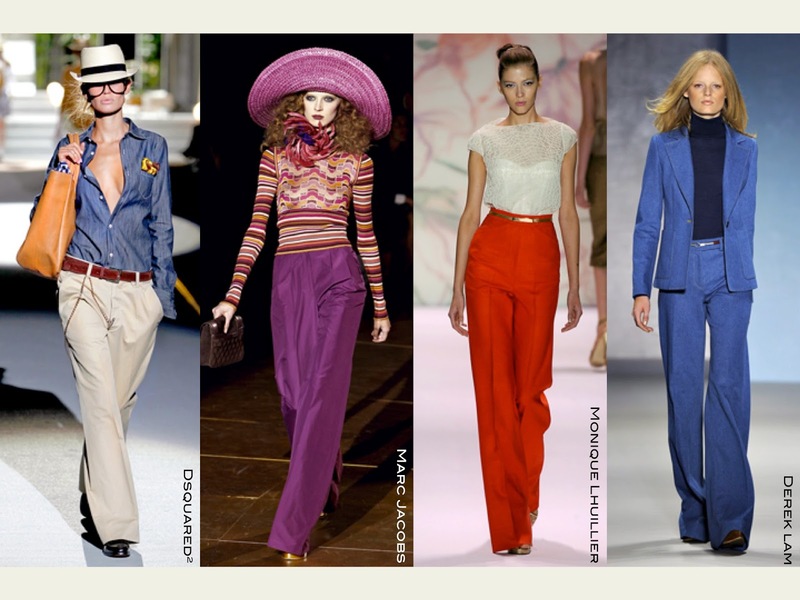 Since last fall season the wide leg trend has established himself back into fashion. I remember seeing this wide trend back in the late 60s early 70s and now it's like literally everywhere. All the stores and online shops have been stocked up with plenty different styles. I myself love this trend and have been wearing it lately too (see here). I always been on the quite cozy chic and wide leg pants are soo incredibly comfy. There's nothing about a wide leg baggy pants paired with a crop top and some easy plateau wedges right? I picked up some looks from the runway and re-styled it by adding my personal flair onto it. Which of it is your favourite? I personally love the last blue x wide leg set. But I'm just saying.